I came home from the UBC Creative Writing Alumni Gala last night to discover that my contributor’s copy of Arc Poetry Magazine had arrived in the post! I’m so absolutely thrilled to have work in this magazine–it really is a dream come true! I so admire the quality of Arc, and it’s an honour to have my work featured by them. I can’t wait to sit down and read the entire issue to admire the other writers whose work fills its pages. My thanks to Monty Reid, Shane Rhodes, Lise Rochefort, and all the editors for their kind words and support! I am especially pleased with my Arc publication because the poem they chose, “Sorrow Halved,” is a particularly important one–for my current poetry manuscript and to me. I hope you’ll pick up a copy of the issue and give it a read! The UBC Creative Writing Alumni Gala was itself a wonderful evening–I’m really blessed to know so many writers who are actively trying to encourage a stronger sense of community. I got to (re)connect with many awesome people, including dear friend Natalie Morrill, who’s now based in Sudbury, Ontario, where she is doing many cool things, including acting as Writer-in-Residence for the Northern Initiative for Social Action, a non-profit that works with community members to provide resources about mental health and recovery. Thanks to Francine Cunningham and everyone else who’s helped to organize the alumni. It’s such a delight! I had an absolutely amazing time on Monday (June 29) at the Frog Hollow Press launch of City Series: Number One – Vancouver. The launch was held at the Vancouver Art Gallery Café, and it may have been the most beautiful location for a poetry reading within which I’ve yet had the pleasure of performing. I can’t think of a better way of spending a late June Monday evening—hanging out in a sunny patio, drinking rosé, and listening to poetry! Thank you to everyone who came out and supported me and my fellow Vancouver poets! For those who missed it, it was a magical evening. Almost all of the contributors to the anthology were able to be in town and make it out to the launch; we missed the presences of Darius Kinney, Alessandra Naccarato, and Sugar le Fae—not to mention Michael Prior, our editor—but we enjoyed performances by Emily Davidson, Shazia Hafiz Ramji, Laura Ritland, Megan Jones, Shaun Robinson, and Emily Chou. 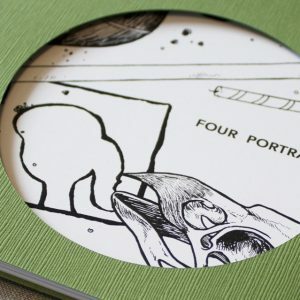 If you haven’t done so yet, you can still order one of the limited edition chapbooks by visiting the Frog Hollow Press website. The evening was hosted by the hilarious and fashionable Dina Del Bucchia and the charismatic, lemonade-loving Sean Cranbury. Dina introduced me as a “fierce, sensual Disney princess.” I must admit my outfit that evening was quite appropriate for that label—although you may notice that I’m wearing very un-princess-like Birkenstocks. For a literary collision of fairy tales and Birkenstocks, check out my poem “Swans,” which is forthcoming in Qwerty. I performed “Swans” for the lovely audience at the Vancouver Art Gallery Café, in addition to my two poems in the Frog Hollow chapbook: “You’re living in a big city now” and “April 17:“. My next performance will be on July 12, as part of the Dead Poets Reading Series, a smart Vancouver series that celebrates the work of poets who’ve graced the world. The event goes from 3-5 PM at the Central Branch of the Vancouver Public Library! I’ll be reading poems by P. K. Page, and some other really wonderful deceased poets will be represented, including e.e. cummings and John Keats! I hope to see you there. You can also watch for some new work by me this summer! The summer issue of Arc with my poem “Sorrow Halved” is hitting shelves right now and I can’t wait to get my hands on my contributor’s copy—I’m just thrilled! And the kind folks at (parenthetical) have just announced the contributors of their next issue, which launches in two weeks—and I’m pleased to count myself among them! Look for some new magical (mermaid!) fiction by me available online and in print on July 16! I’m excited to announce that I have work forthcoming in Arc Poetry Magazine! Look for “Sorrow Halved: Parts I & II” in issue 77 this summer. Arc is one of the best and most-respected lit journals out there, and I am absolutely over the moon to have work published by them! Also keep an eye out for new fiction! I have two short stories coming out this spring: “Daily Bread” with Synaesthesia Magazine and “Colossal” with Vending Machine Press. It’s an astonishing early spring here in Vancouver. 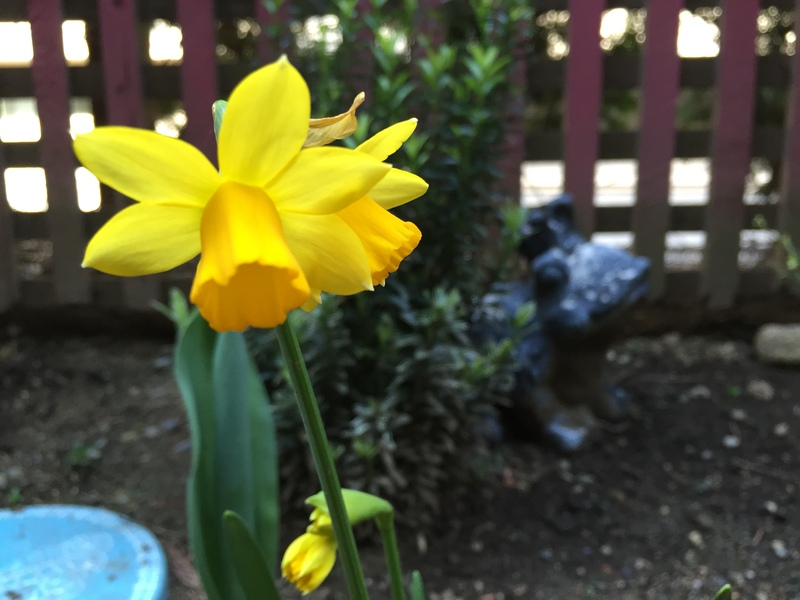 My crocuses and tulips are poking out, my hydrangeas have new green, and my daffodils have already bloomed! 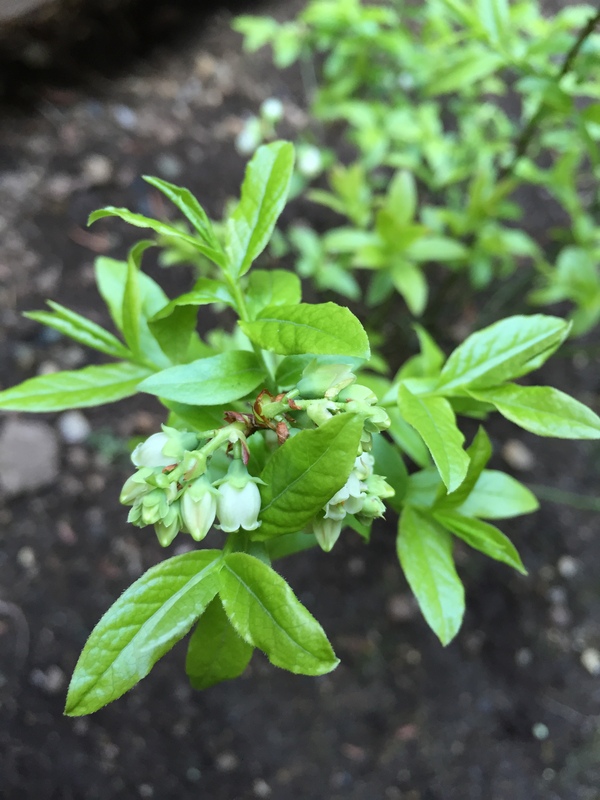 I am particularly delighted that it looks as though my young blueberry bushes will bear fruit this year.